After you get into an auto accident, one of the first things on your mind will be repairing your car. Because of insurance, the repair process is often more complex and lengthy than you expect. On top of that, there are some pitfalls and things that you need to be aware of so that you do not lose money or time unnecessarily. You don’t have to use the collision repair shop your insurance company suggests. 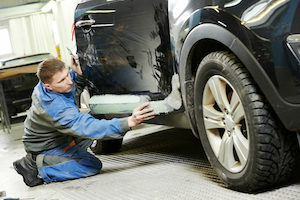 The first thing to understand is that your insurance company is going to recommend that you use a certain body shop. There is nothing nefarious about this. Essentially, insurance companies like to set up deals with body shops for reduced costs in exchange for directing more customers to that body shop. So the insurance company has to pay less to cover the cost of repairs as long as they can maintain a steady flow of claimants to that shop. In terms of what that means for your claim, you will face significant pressure from your insurance company to use a certain body shop. However, nothing is forcing you to pick that shop. They can threaten you with a longer time to process your claim or tell you that you will not be under their warranty. The time difference won’t affect the final outcome of your claim at all and as for a warranty, all good body shops offer their own warranties. So if you have a body shop you trust, use it. If you are found to be not at fault for the accident, then you have more leverage. For example, the insurance company is obligated to cover the cost of your repairs, so insist on the best parts. That means original-manufacturer parts, or OEM parts. Most repairs can be done with either OEM parts or a generic equivalent, which is cheaper but not quite as good. If you are not at fault, you are not paying, so ask for OEM parts to get the best repairs possible. On the other hand, if you are at fault, consider asking for the generics instead. In the case when you are at fault, then you’ll want to get the repairs done at a reasonable cost. Now that you know you do not need to use the body shop the insurance company recommends, you can shop around. Try to get a body shop estimate from several local options so you can compare quotes and see what is the cheapest option. There is no reason to pay more than you have to, so try the main local shops and dealerships. When you get these quotes, though, understand that it is likely that the mechanic will find more damage. Whether you are paying all, none, or some of the cost, this is entirely normal and your insurance company will supplement your original check. That first check is just an estimate, and the insurance company knows it is probably going to go up. Save yourself the headache by working with Liberty Collision Repair Shop. 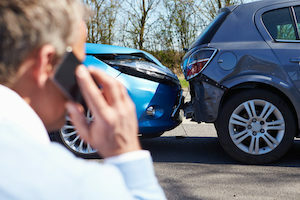 The auto body repair insurance claim process is daunting because most people are unfamiliar with it, but all parties involved want to get the work done and move on as soon as possible. The insurance company has no reason to delay your claim. At the same time, though, you should not feel pressured to go faster than you are comfortable with, especially during the phase when you are finding a car body repair center. This is your car, after all, and the better the repair job is, the stronger the car will be afterward. Do not move forward with insurance approved car repairs until you fully understand your claim and have found a bodyshop garage that you trust. Your insurance company should be willing to sit down and explain everything to you so you know what you can expect to pay, if anything, and the timeline for how the process moves. Body shop insurance claims are a part of owning a car, so try to stay calm and in control. You do need to get insurance approved car repairs, but the shop itself does not need to be approved. That’s the most important takeaway from all this: you have more freedom than you think. Body shop insurance claims will look different depending on how the fault in the case was assigned, which affects how much you need to pay. However, the entire auto body insurance system is designed to get you on the road again with minimal delay. You might be surprised at how soon you conclude your auto body repair insurance claim and move on.